Preparation Methods & Dosage : Oregano tea made from the fresh plant will relieve nervous headache or upset stomach. The leaves can also be used in poultices to reduce pain and swelling. Oregano extracts provide the same benefits of the whole herbs in a concentrated, easy to use form, as does the essential oil. A few drops of oregano oil can be put in the hollow of an aching tooth to relieve pain. Sweet majoram, Origanum marjorana , has a more delicate flavor and aroma. Oregano oil has a spicy, medicinal aroma and is the most potent anti-bacterial oil used in aromatherapy. 68 Dilute this oil well before using in any massage blends or lotions. Blend it with lemon and cinnamon to cleanse the air in cold and flu. In the Kitchen: Together with basil, oregano contributes much to the distinctive character of many Italian dishes, but don't limit yourself to only using it in tomato sauces. When using the dried herb, respect it's potency, it's really strong taste can easily overwhelm other flavors in a dish. Be aware that some commercial, dried oregano may be from a mix of plants some not even true oreganos.You can make use of fresh oregano leaves in the summer, which has a lighter taste. In the older herbals oregano is referred to as Wild Marjoram, which can be confused with the herb known today as wild marjoram, Thymus mastichina , which is a wild-growing species of thyme." The name Origanum is derived from two Greek words, oros (mountain) and ganos (joy), in allusion to the gay appearance these plants give to the hillsides on which they grow. Origanum vulgare will grow from seed, however, to make sure the variety is exactly the one you are looking for you may wish to get starter plants at the nursery. Italian and Greek cultivars can be frost hardy, all oreganos benefit from well, drained, dry and sunny locations. Harvest plants when flowering first begins for best flavor. 67. Wei Zheng and Shiow Y. Wang." Antioxidant Activity and Phenolic Compounds in Selected Herbs. "(2002), J. Agric. Food Link : Oregano ranks first among the culinary herbs in antioxidant power. 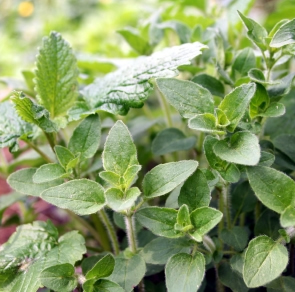 Taking oregano in teas, and using the fresh leaves in cooking helps to protect the body from harmful free radicals. Rosmarinic acid, a constituent of oregano thought to be a strong protective against cancers, heart disease and stroke. 68. Ericksen,Marlene. 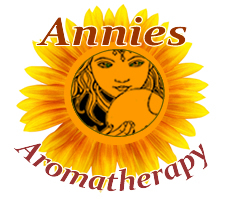 "Healing with Aromatherapy"	McGraw-Hill (2000): The most effective essence in inhibiting micro-organisms is oregano, followed by (in descending degrees of effectiveness) by thyme, cinnamon, clove, cajeput, rosemary, pine, fennel, lavender, and myrtle. 127. 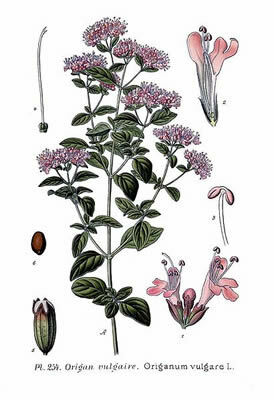 Newmark, Thomas M.	"Beyond Aspirin", (2000), pp63-64, 131-132: Oregano has 31 know anti-inflammatories, 28 antioxidants and 4 known potent COX-2 inhibitors, including rosmarinic acid.